Preparing For Our Children's Future: Pink Princess Giveaway @ Familylicious!! One of my favorite blogs, Familylicious, is having a Pink Princess Giveaway! I have just recently introduced to Pink Princess thru blogging, and they have the most beautiful dress up clothes for children! 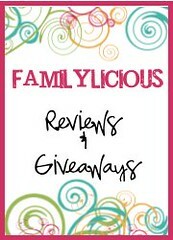 I would love to win the $25 gift certificate giveaway at Familylicious, to get my girls a pretty dress to wear! Giveaway ends Nov. 7th! Most of our girls clothes are from second-hand stores and they have not had a brand new, special occasion dress, since the oldest was little! I love blue and think it looks good on the girls, so I would love to get them a dress like the "Blue Sparkling Tulle Dress" pictured below!